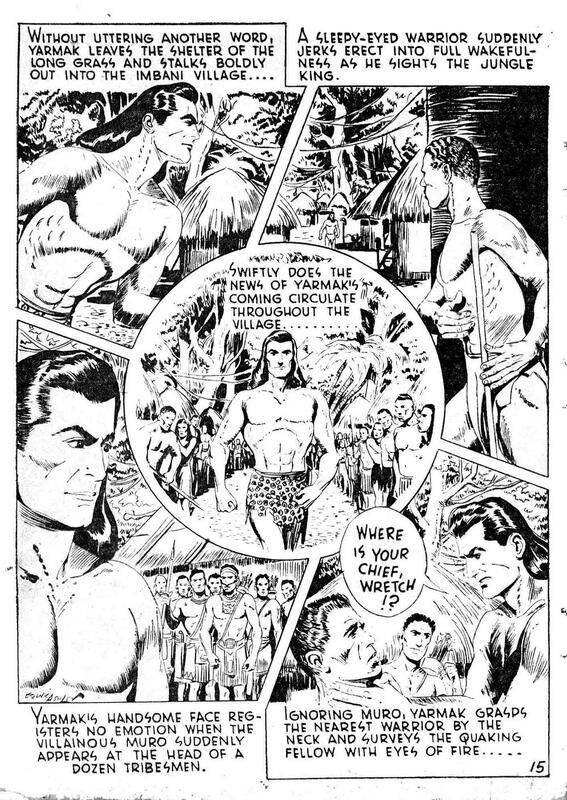 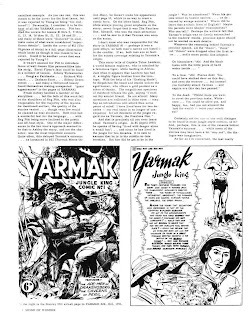 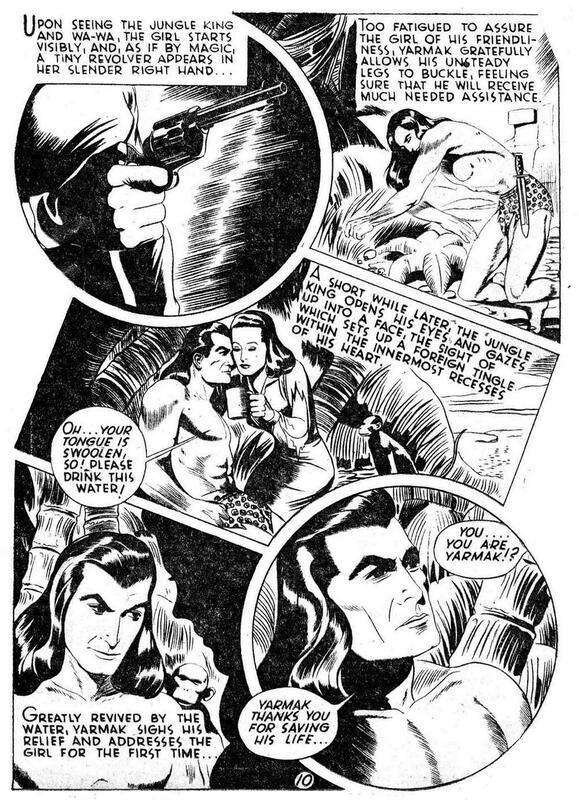 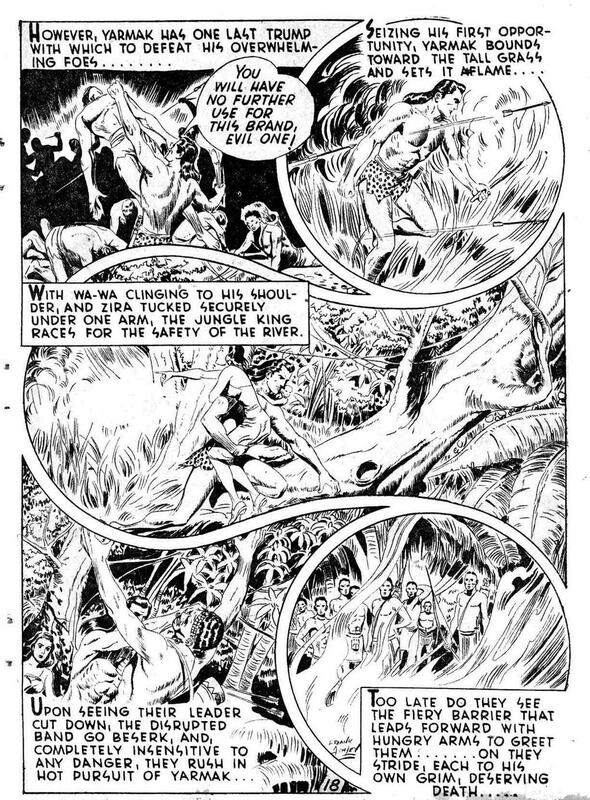 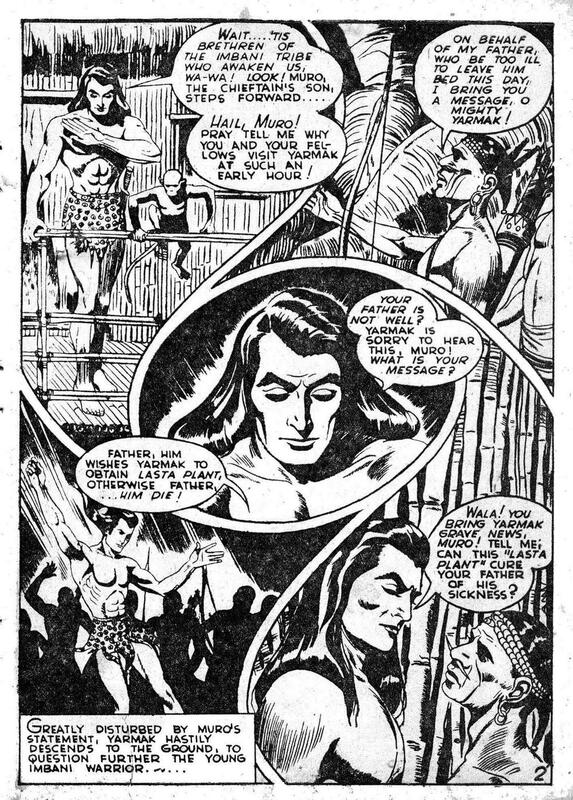 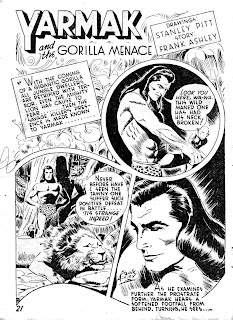 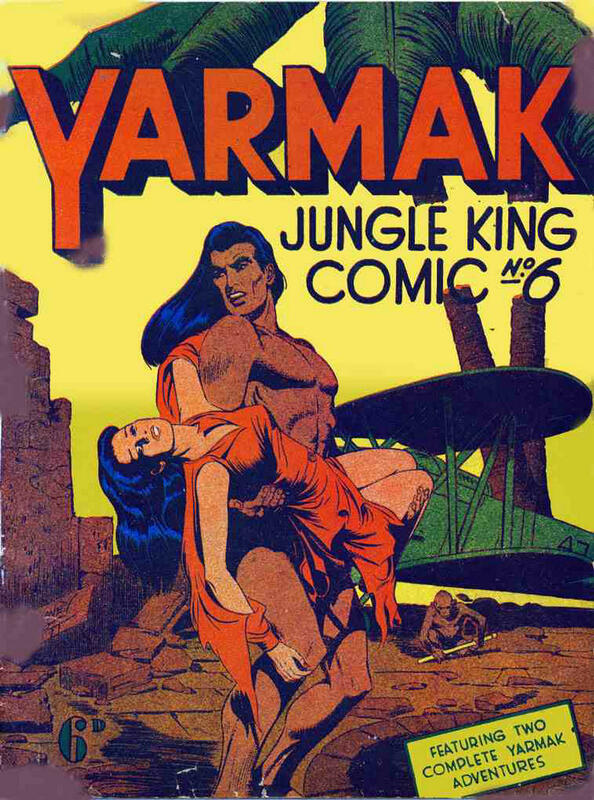 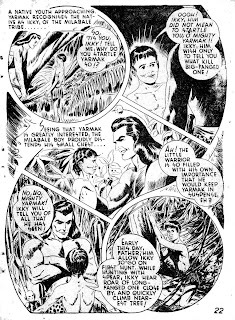 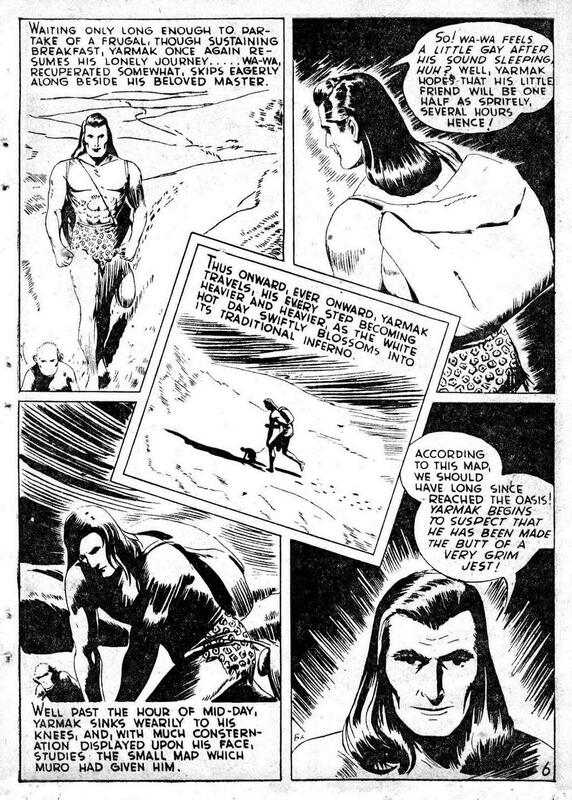 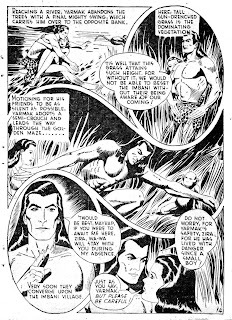 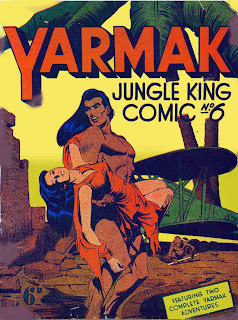 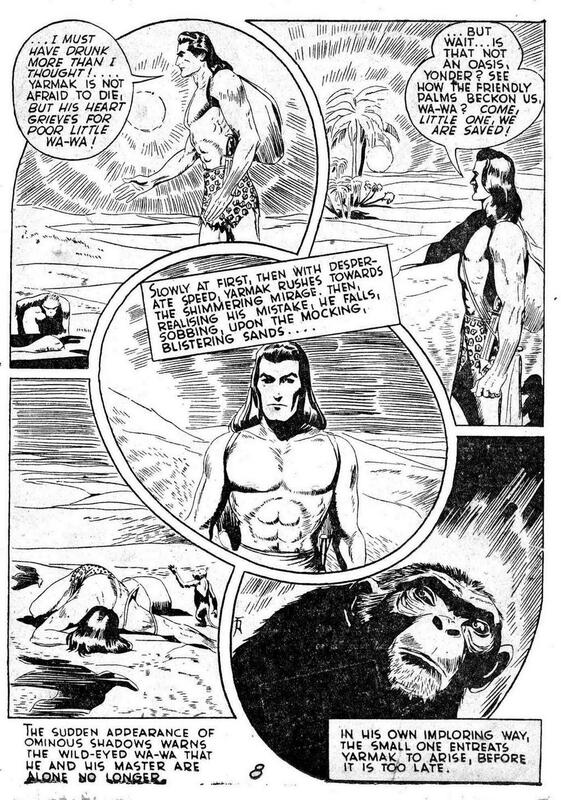 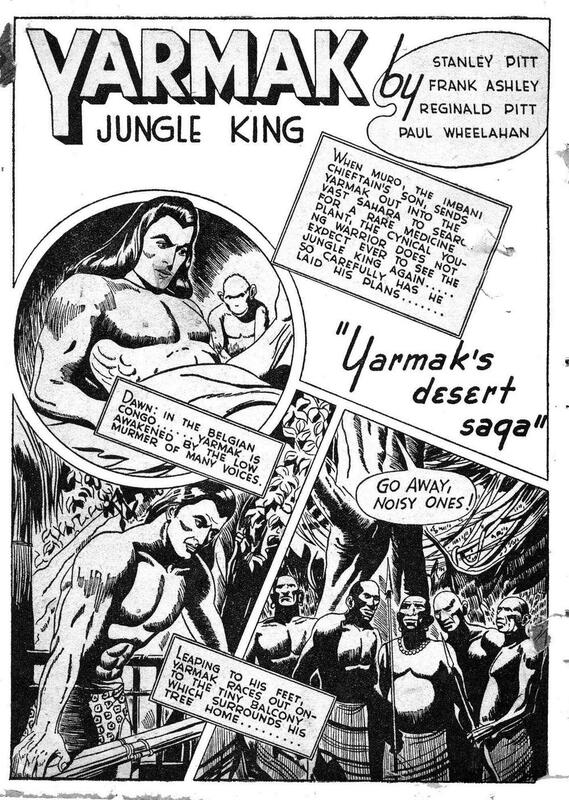 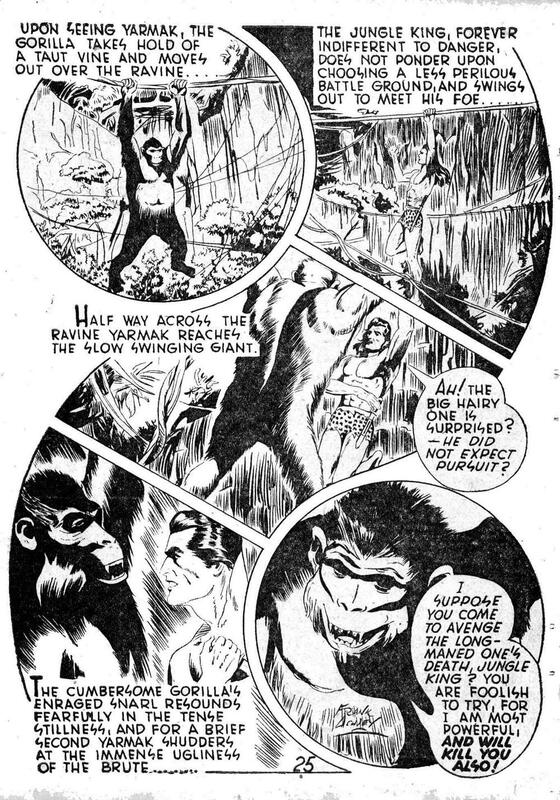 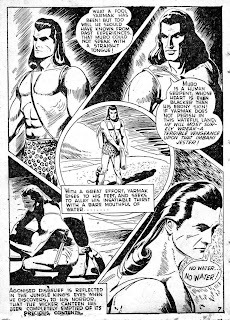 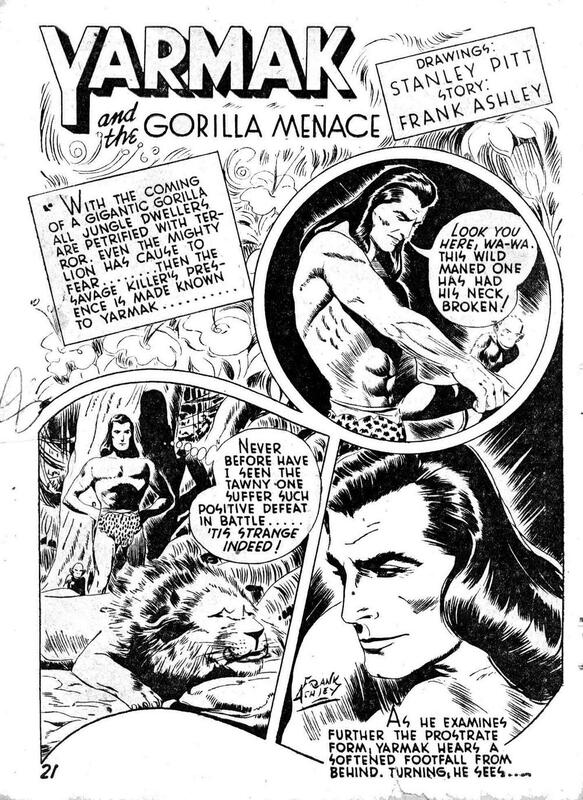 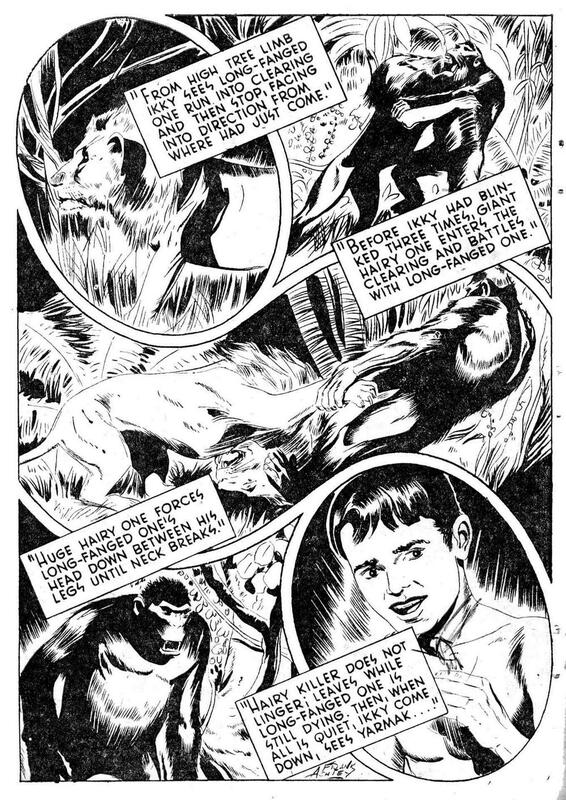 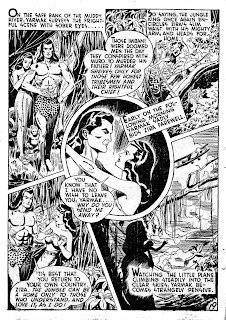 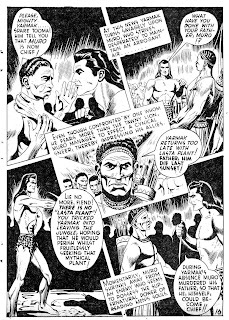 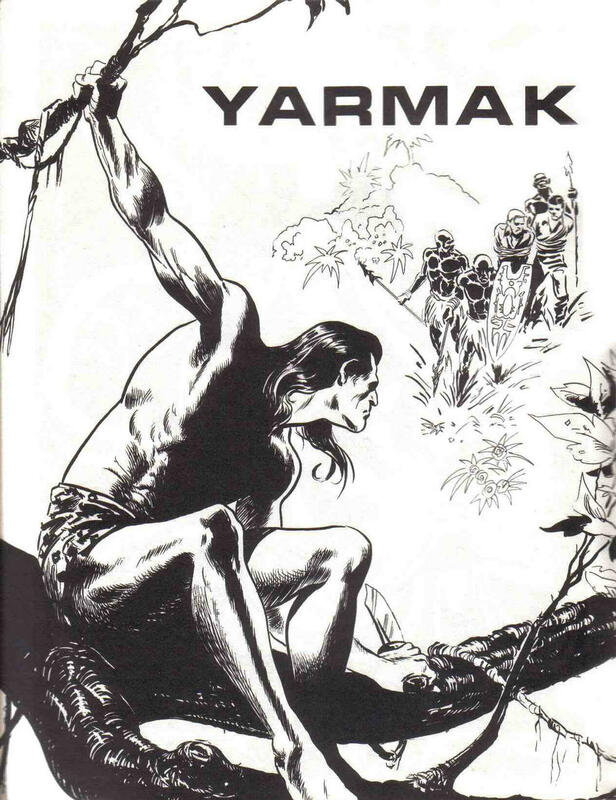 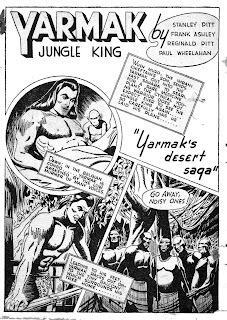 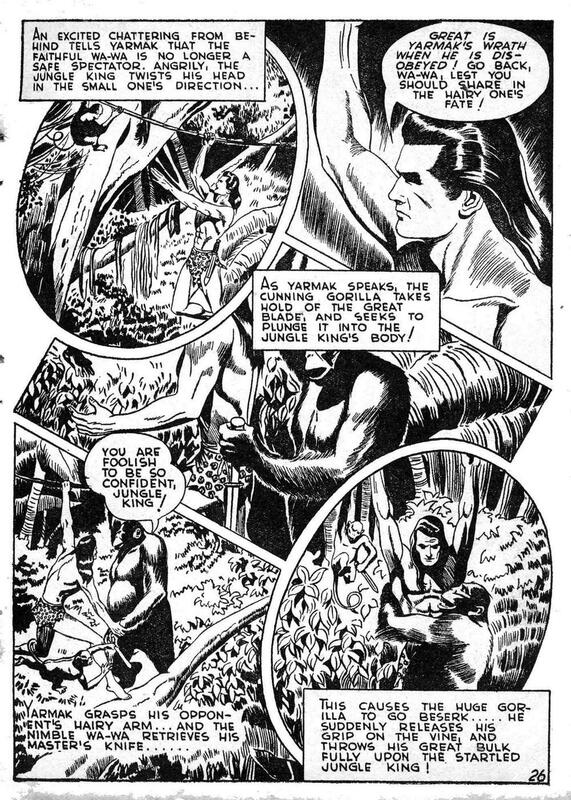 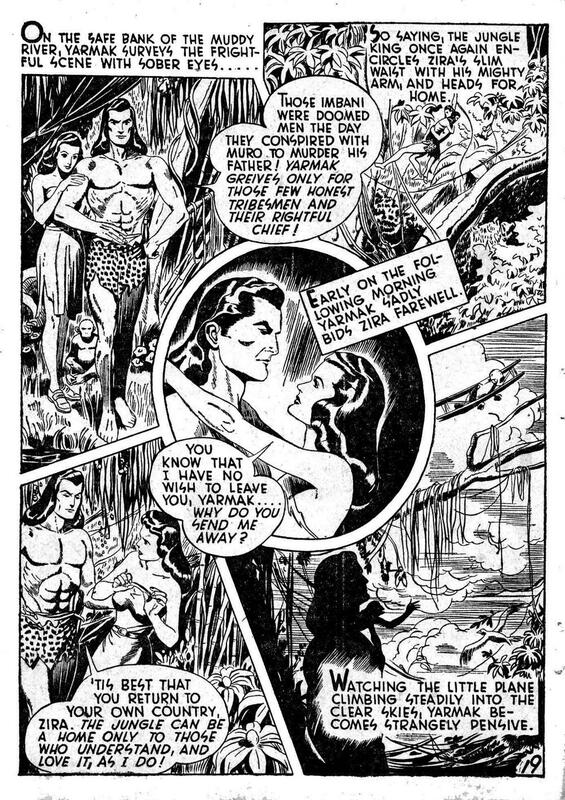 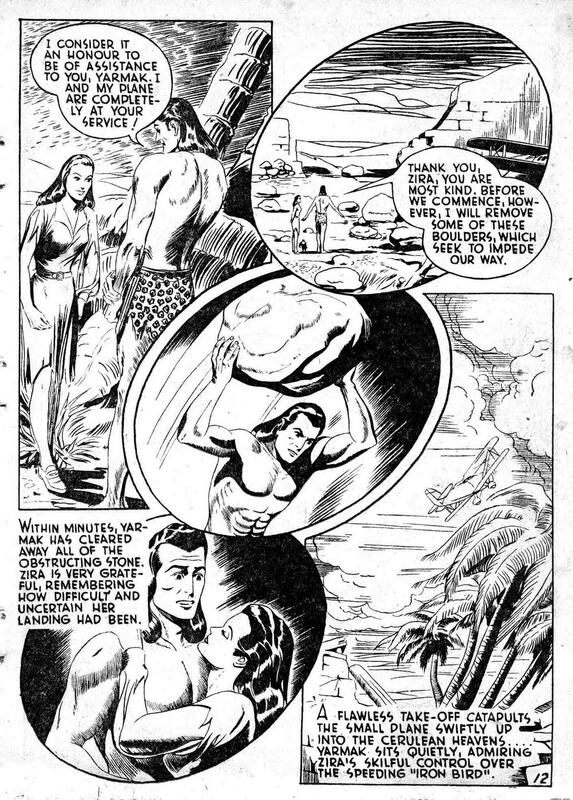 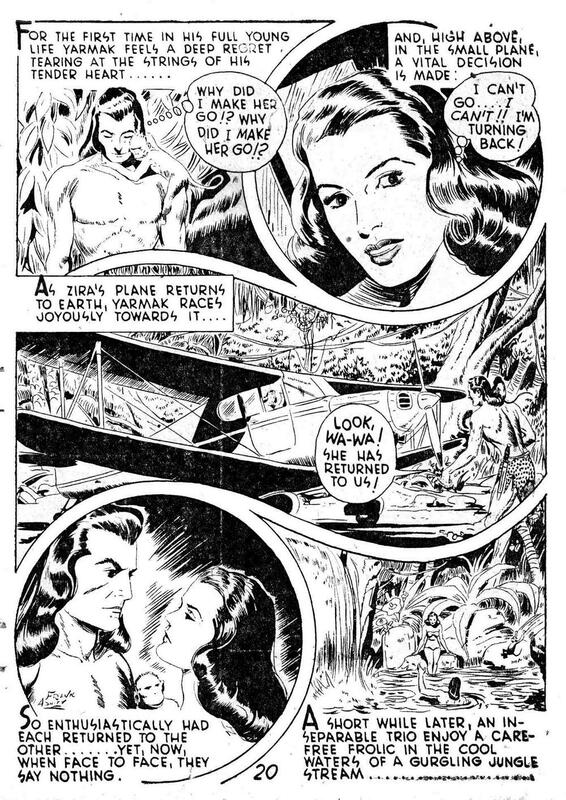 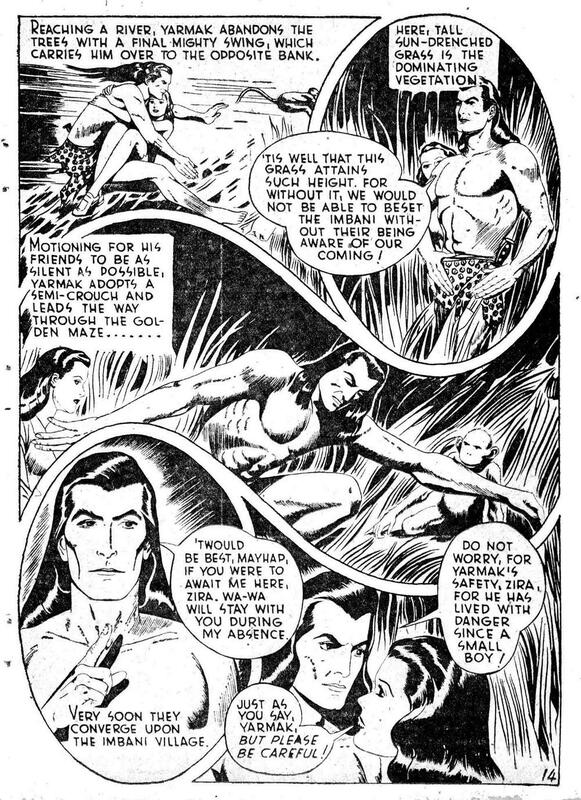 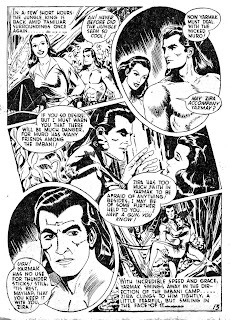 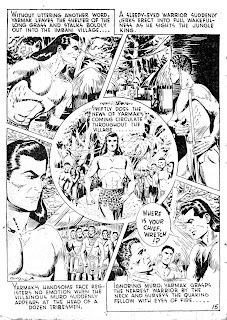 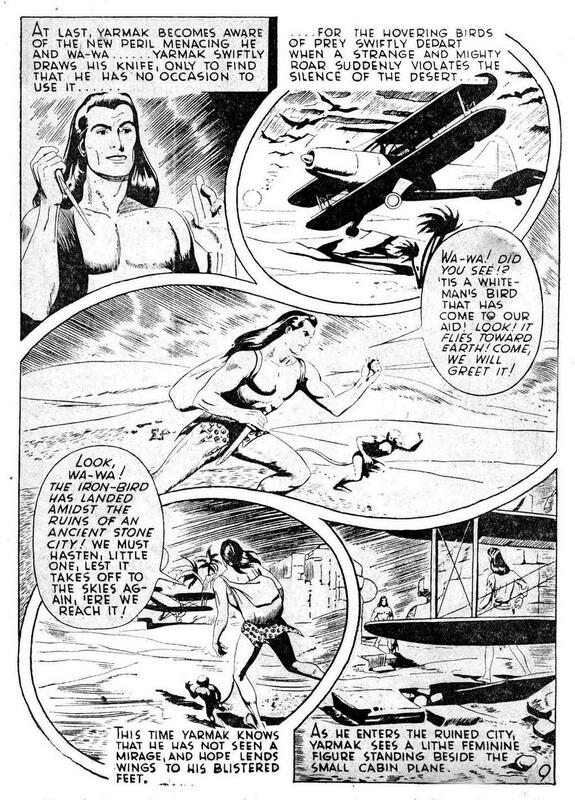 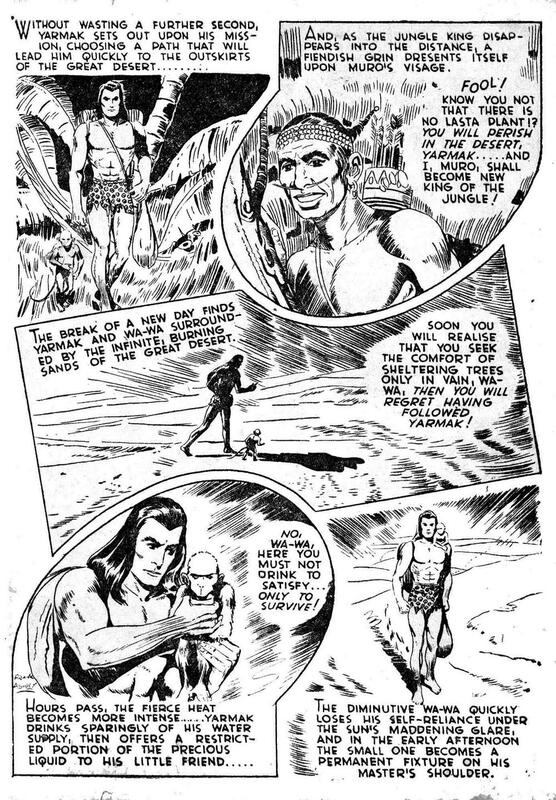 Yarmak is a Tarzan-influenced character who came out of Australian comic books in the 1940s. 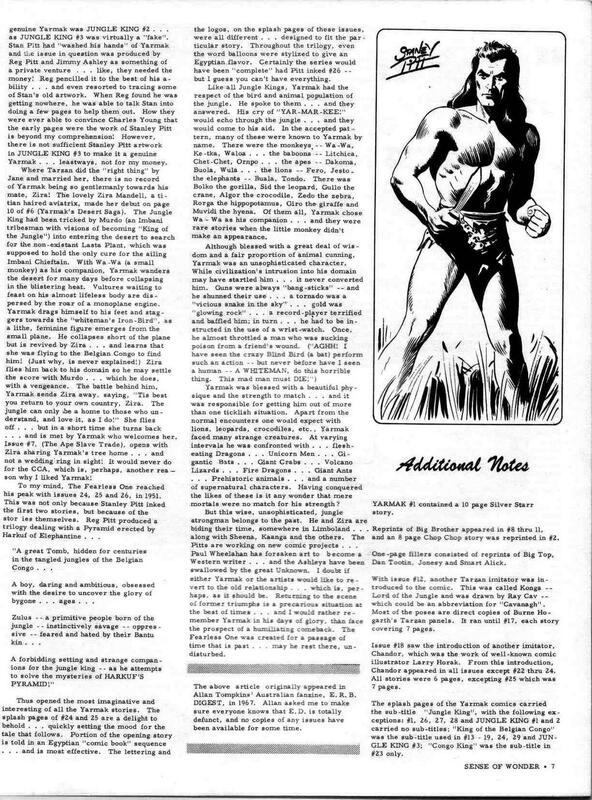 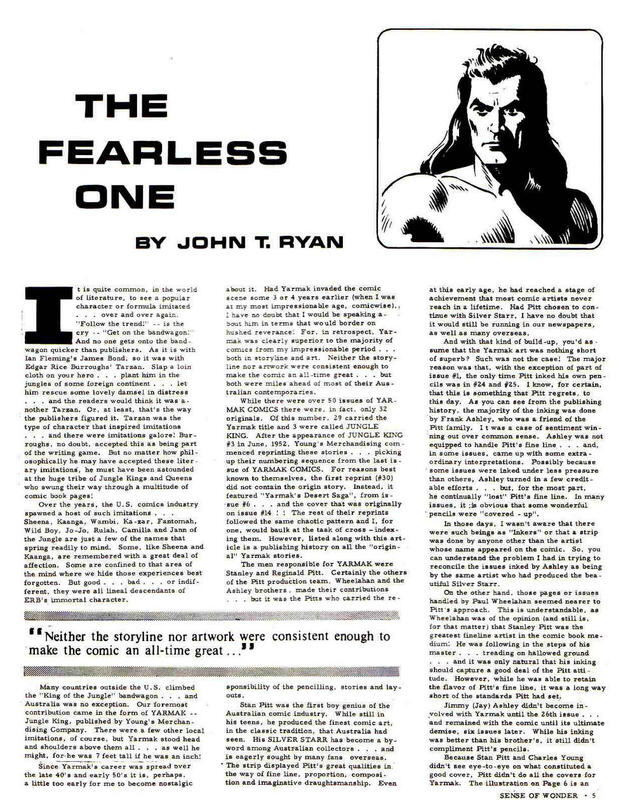 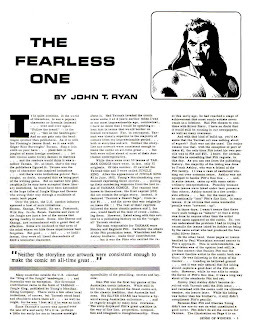 An article by John Ryan from an issue of Bill Schelly's fanzine, SENSE OF WONDER Number 12, explains the history of the character. 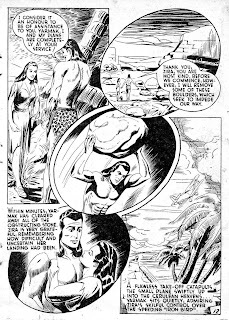 Stanley Pitt has connections to the U.S., with his major influence being Alex Raymond. 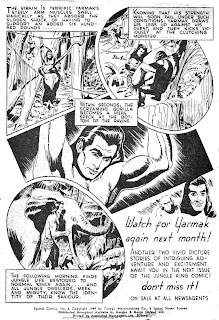 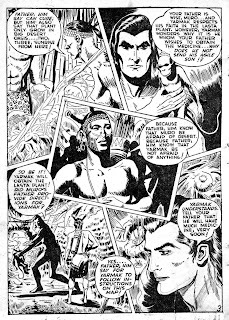 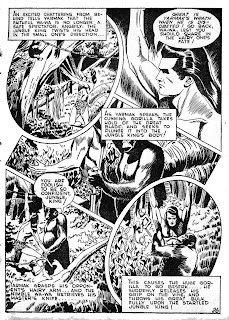 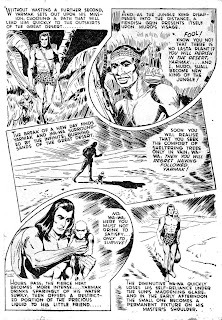 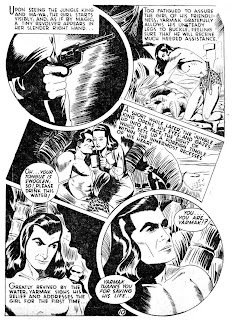 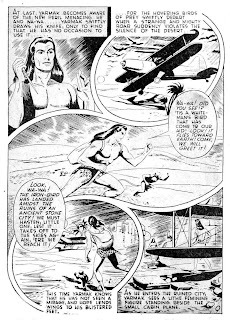 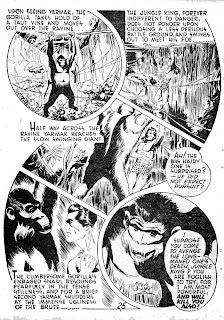 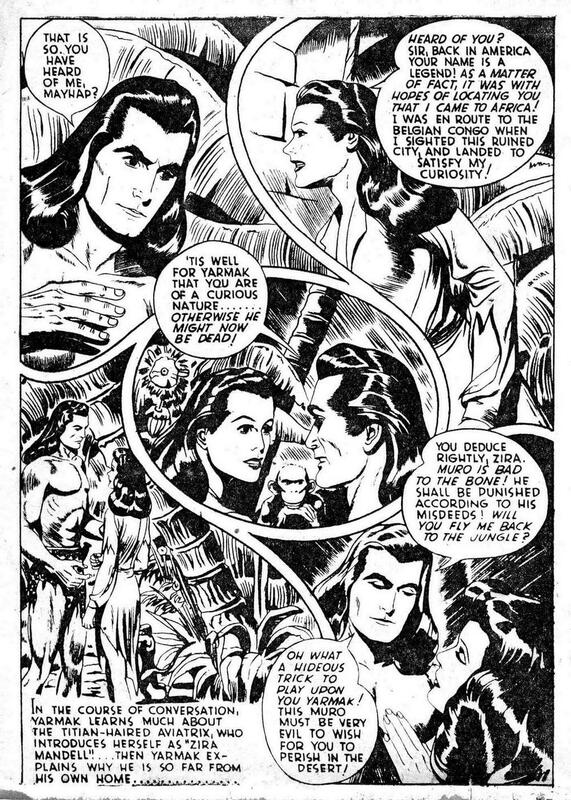 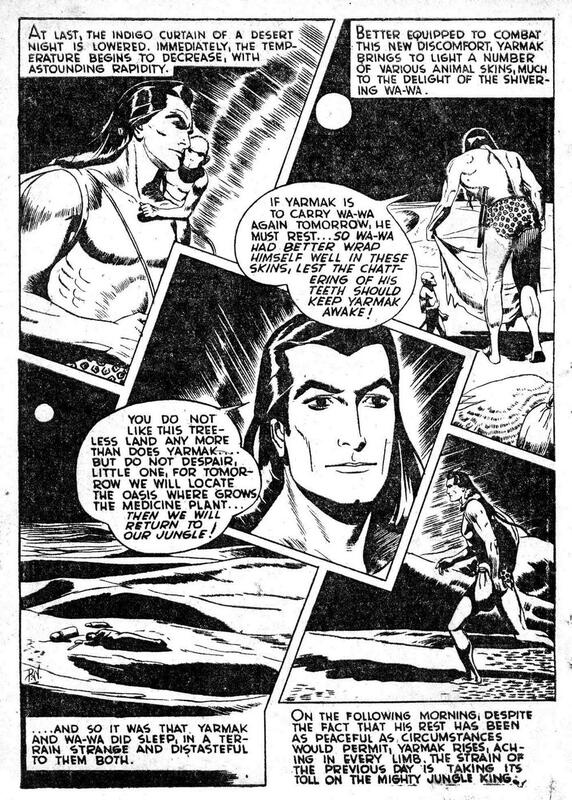 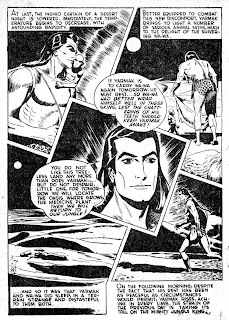 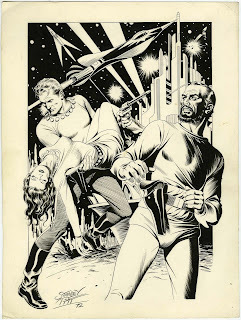 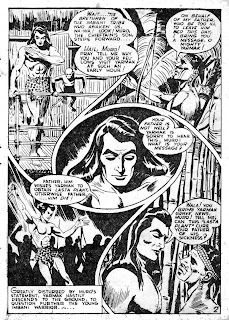 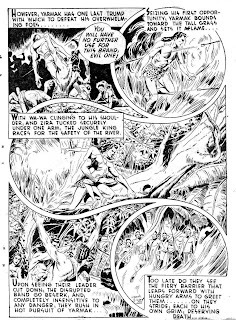 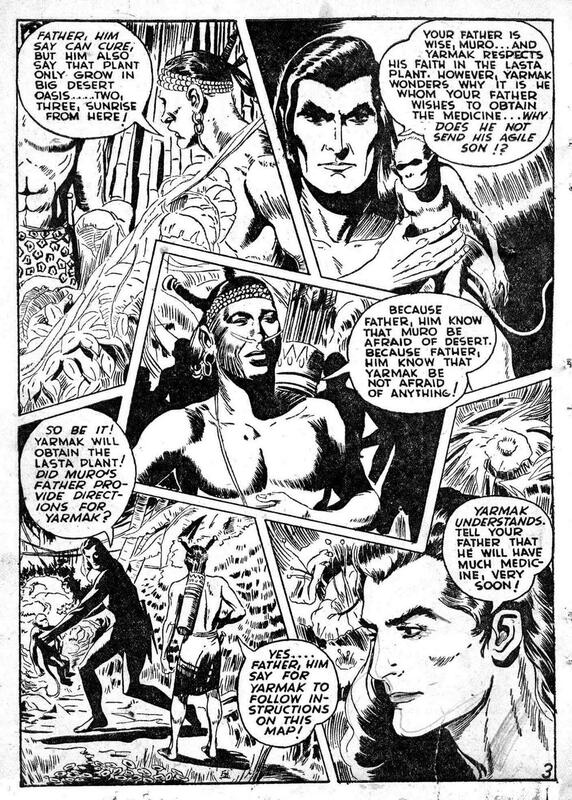 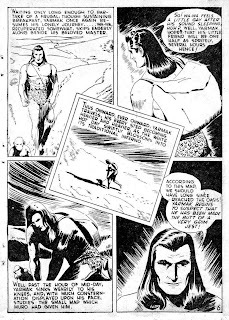 After the scans of YARMAK #6 I have included three scans of original art by Pitt, all fantastic Flash Gordon illustrations in the Alex Raymond style. 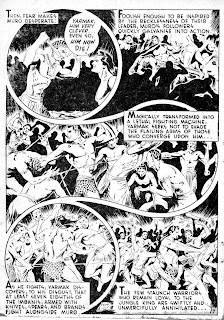 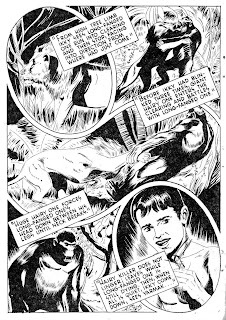 The original Hairy Green Eyeball blog contains a Stanley Pitt story for the American comic, THE WITCHING HOUR here. 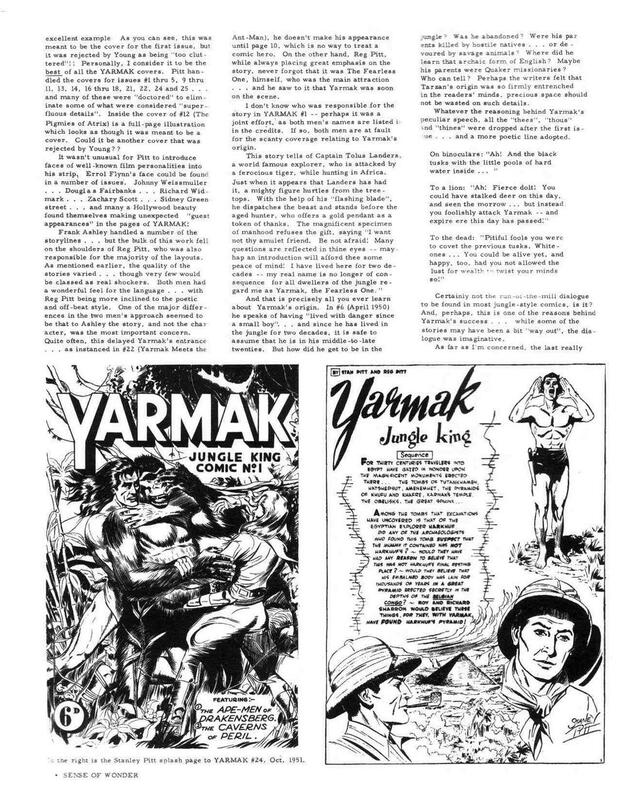 My thanks to the anonymous scanner who put together this Yarmak package, where I was able to access it on the Internet. If you were the person who did it please let me know and I will give you credit. 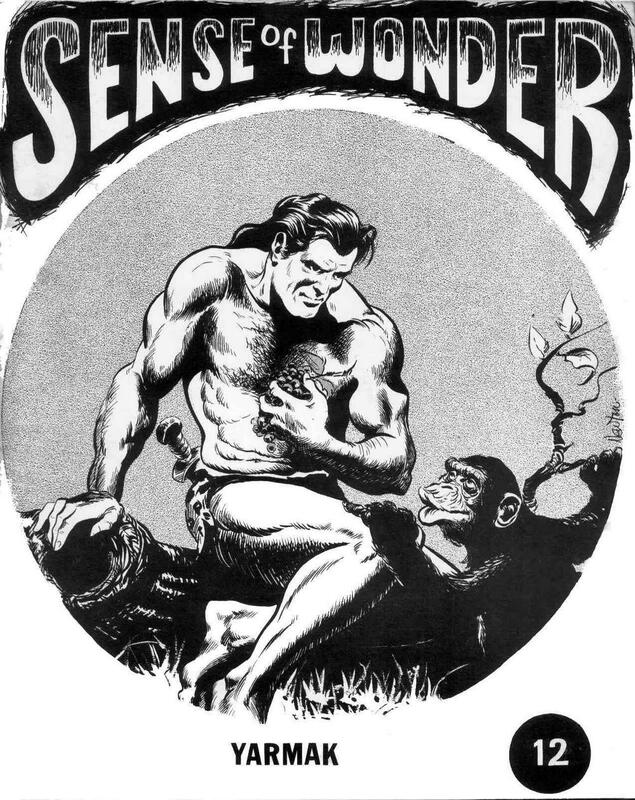 The illustrations for SENSE OF WONDER are by the late Don Newton. 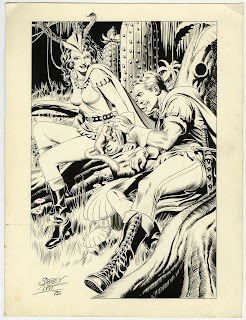 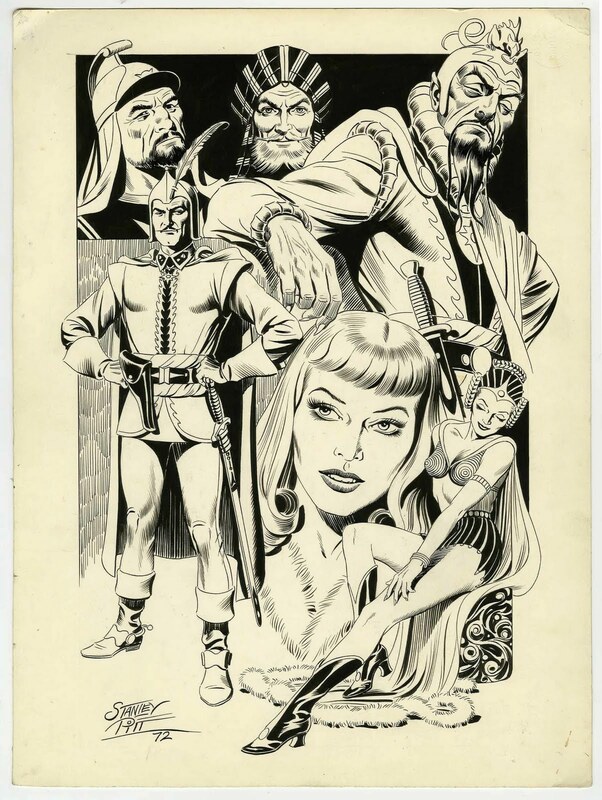 The Stanley Pitt Flash Gordon original art scans came from Heritage Auctions. 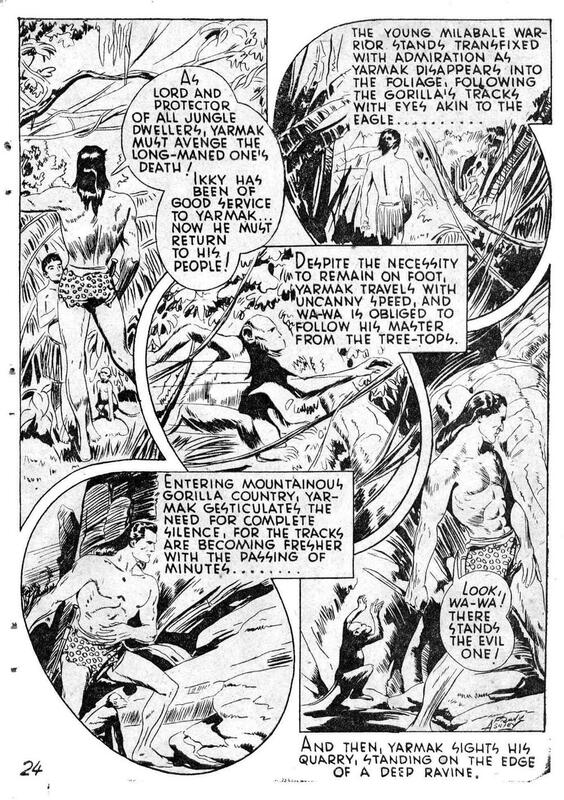 The whole book looks pretty neat also. 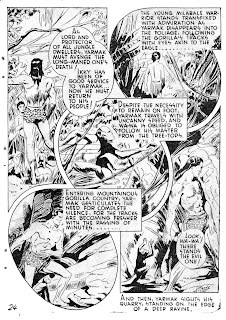 If you step back and look at those swirly panel borders it's kind of trippy. They had an unusual way of designing the overall look of the book.